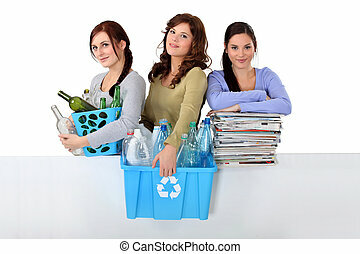 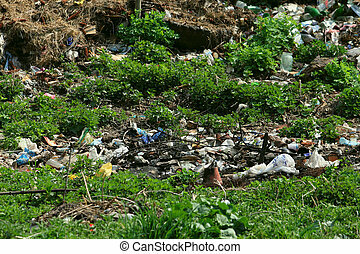 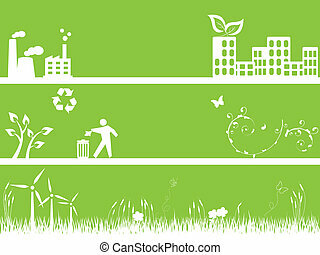 Green clean environment. 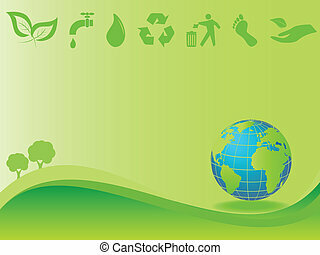 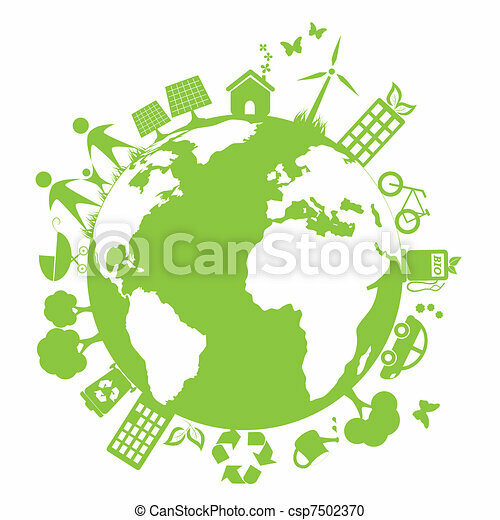 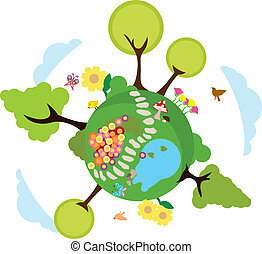 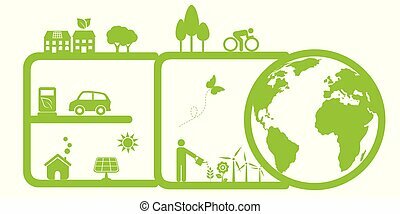 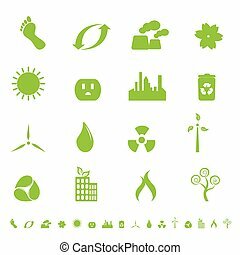 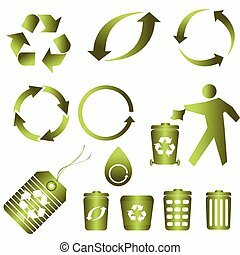 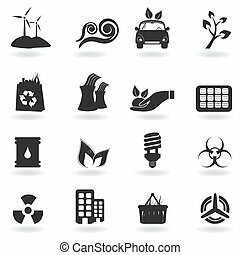 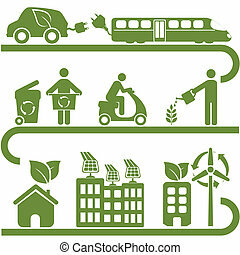 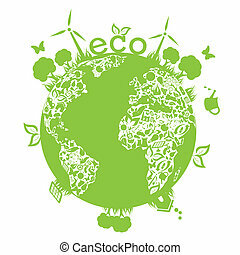 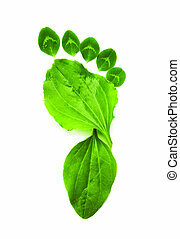 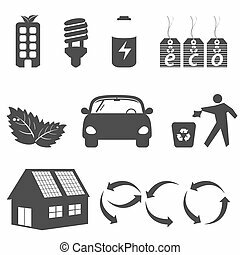 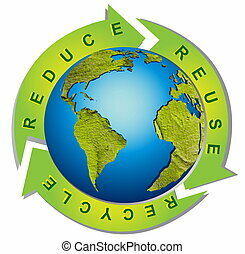 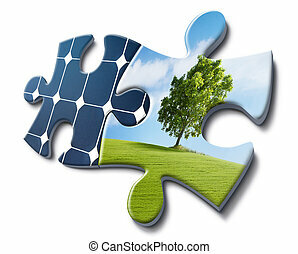 Green and clean environment symbols. 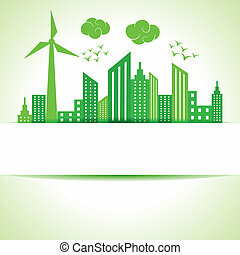 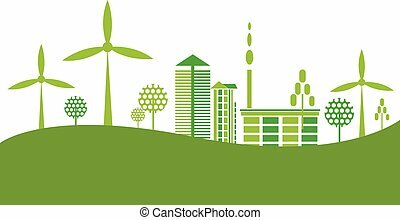 Eco Friendly green city background vector illustration. 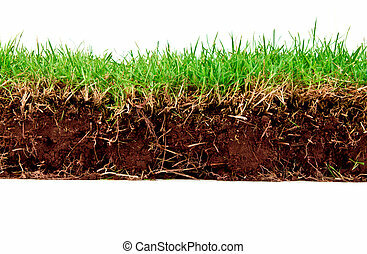 Fresh spring green grass with soil isolated on white background. 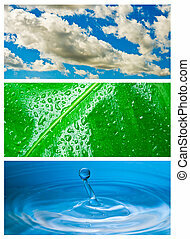 Environmental theme abstract background - gray clouds and blue sky, green leaf with rain drop, blue water drop splash in water. 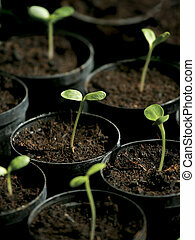 A shallow depth-of-field image of the sprouting of sunflowers. 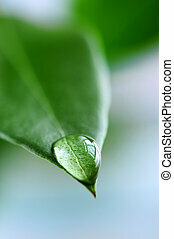 Focus is on the leaves of the middle sprout.